At this years RHS Malvern Show we showcased a New Range of Artisan Products made with UK Grown Wasabi from the Wasabi Company in Dorset. 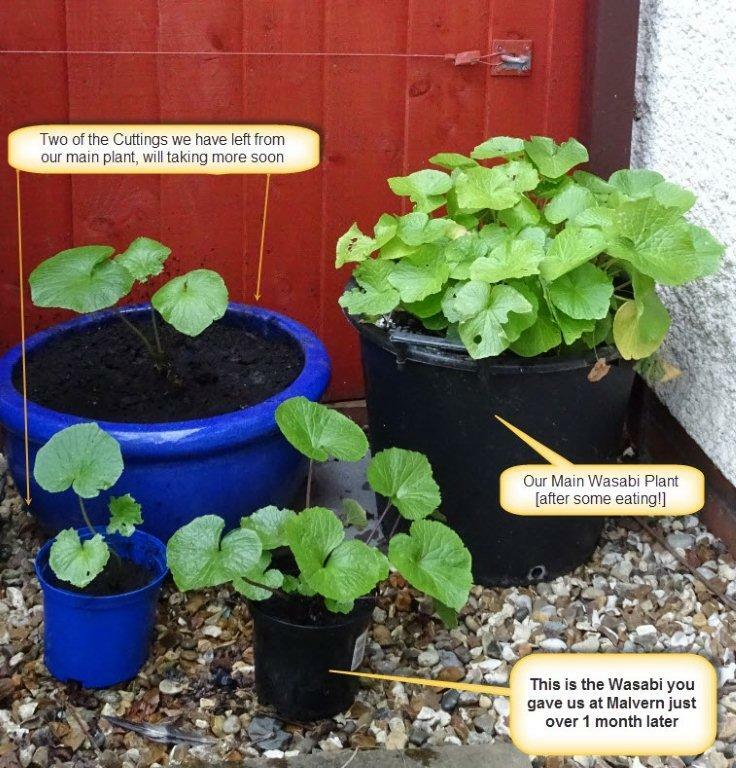 Athol & Marilyn have been purchasing our preserves from us for many years and by luck they have grown some Wasabi as well. We did have a couple of plants on display and as it was the end of the show when they came to see me I gave them the plants to take away with our complements. Here is the E-Mail and pictures I have just received from them. 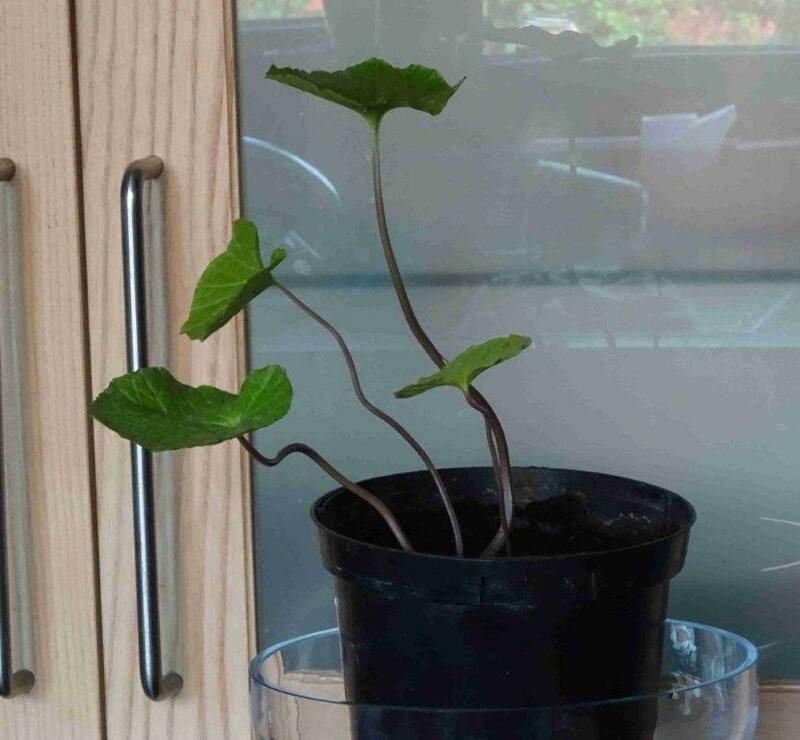 We really did appreciate you giving us that plant and as you can see it is growing very well after a month. 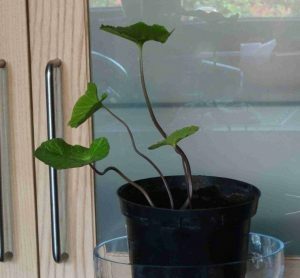 Two photos – one we had off you and potted after 2 days of getting back from Malvern and the other is the same plant after a month. The other photo are of our main Wasabi plant [which we have had for 2 years] after I have eaten a lot of the storks and leaves. We have also taken 6 cuttings so far and given 4 of them to some good friends. I have eaten one of the bulbs and yes it was hot but now I know what I am doing ! ! 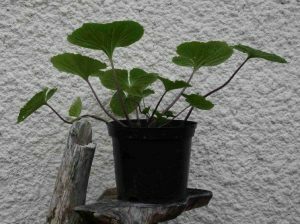 We will be taking some cuttings when we get back from our holiday and re-potting our main one in some fresh compost and bigger pot as well.